A growing area of interest in psychiatric research is the role of pH in various disorders, for example bipolar and panic. Baseline pH as well as pH dynamics may be fundamental to these disorders. To better understand these mechanisms, methods that can probe brain pH noninvasively are needed. 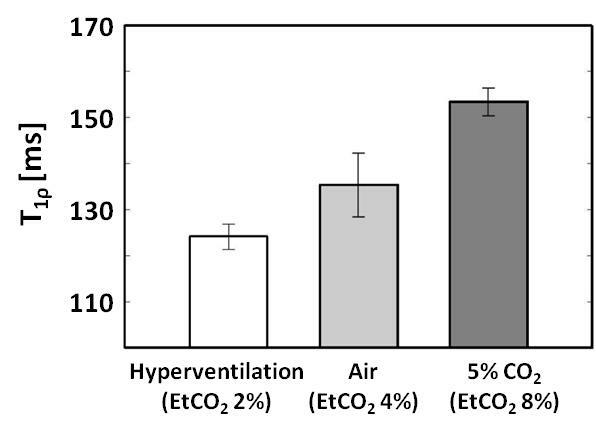 A number of MR methods have been shown to be pH sensitive, including 31P and 1H (lactate) spectroscopy, T1rho imaging, and chemical-exchange saturation transfer (CEST). Spectroscopy techniques are the most common approach to noninvasively assess brain pH. However, these methods have coarse spatial resolution and require long scan times. The methods for pH-sensitive T1rho and CEST imaging are fairly new and have not been extensively demonstrated in vivo. However, these methods have the potential to enable imaging of the entire brain with high spatial and temporal resolution within a reasonable scan time. My project involves the use of these pH-sensitive methods, as well as the development and assessment of improved techniques, to image patients with psychiatric disorders, specifically bipolar and panic. The primary goal of this work is to identify pH differences in these patients versus normal controls. 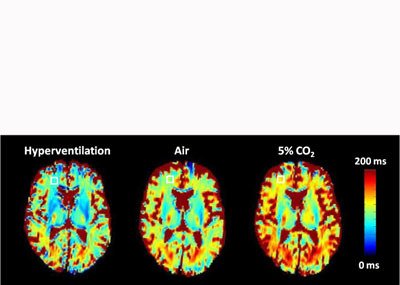 A secondary goal is to develop pH-sensitive MR imaging methods that are practical for human imaging at 3T. Magnetic Resonance Spectroscopy is a technique used in brain imaging to analyze the brain’s chemical content. Spectroscopy data is typically collected with a single voxel (SV) method or a multiple voxel method called Chemical Shift Imaging (CSI). 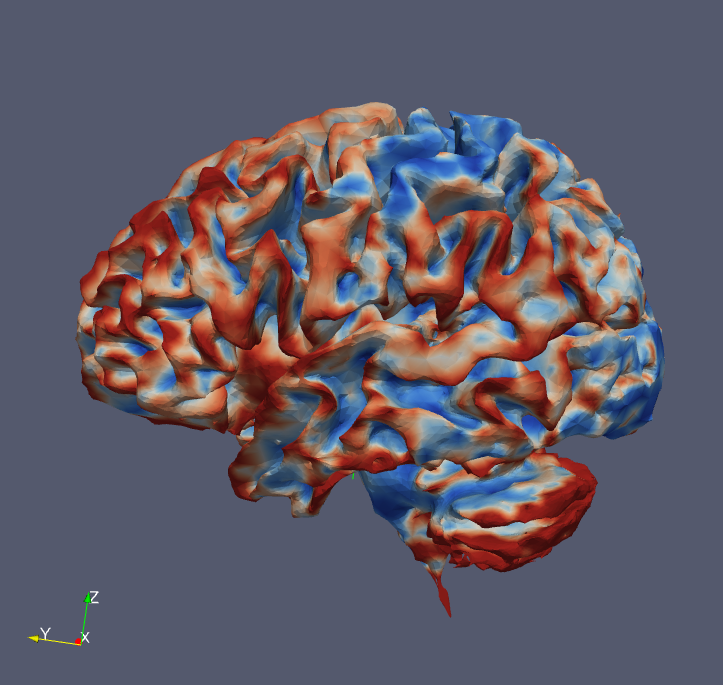 A software tool, BrainCSI, is being developed to help process data obtained in these experiments. The metabolite concentrations are most commonly reported as ratios of two metabolites, but the BrainCSI tool attempts to report absolute concentrations. One current limitation absolute concentrations in spectroscopy is the large voxel size ( ~ 1 cm3). The large voxel size causes multiple tissues types to be contained inside a voxel. Brain metabolites concentrations are known to vary according to the tissue type, most notably that cerebral spinal fluid (CSF) is void of most metabolites of interest. Therefore, it is important to determine each tissue partial volume of the spectroscopy voxel. 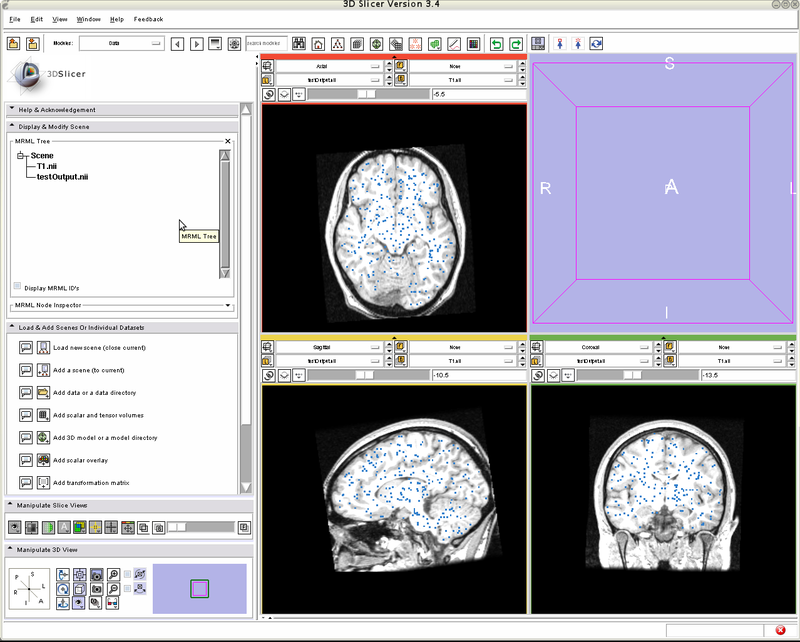 The BrainCSI tool classifies the anatomical image into different tissue classes and determines the partial volume. 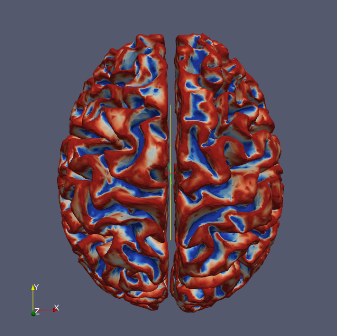 The point spread function of the spectroscopy voxel in CSI is also significant and is corrected for in BrainCSI. Finally, in 2D CSI and SVS, there is a chemical shift that is metabolite dependant that needs to be corrected. Brain pH has been shown to fluctuate as a result of brain activity. It has been difficult to measure such changes in vivo due to lack of methods for non-invasively measuring pH with high spatial and temporal resolution. 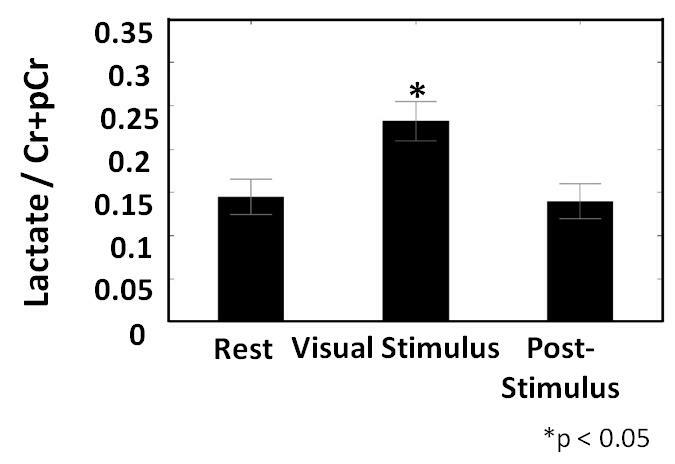 In this study we performed a series of experiments to access the ability and sensitivity of T1 relaxation in the rotating frame (T1ρ) to measure pH changes in the mouse and human brain evoked by systemically manipulating carbon dioxide or bicarbonate. Furthermore, T1ρ detected a localized acidosis in the human visual cortex induced by a flashing checkerboard. This was confirmed with 31P spectroscopic measurements. In addition, 1H spectroscopy showed a significant elevation of the lactate signal providing a mechanism for the acidosis. These studies will open significant opportunities for understanding the role of pH-dependent signaling in the brain, for understanding the importance of pH in neurological disease, and for novel diagnostic and therapeutic approaches. I recently graduated from the MRI Research Lab with a PhD in Biomedical Engineering. 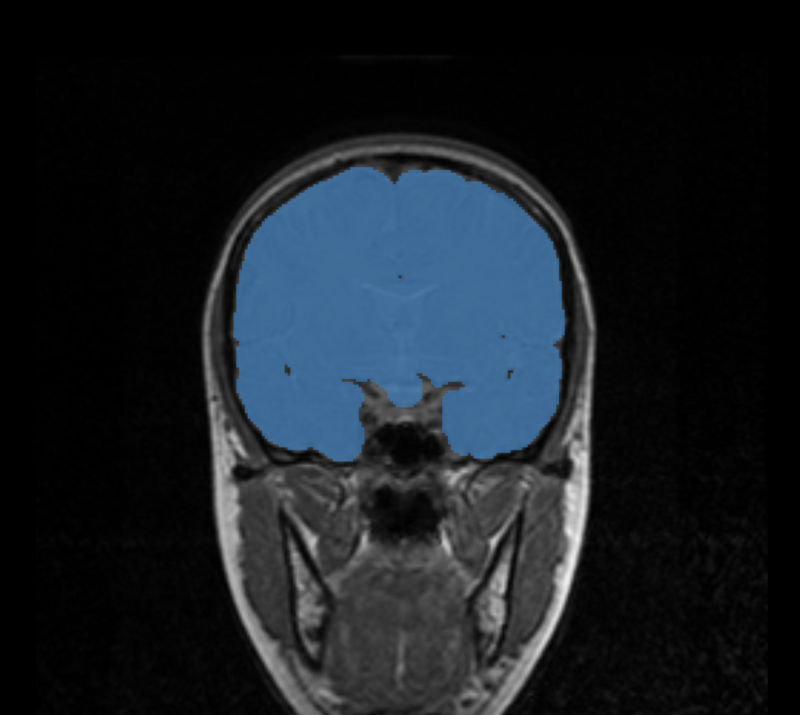 My research was focused primarily on applying a combination of medical image processing tools into a pipeline, which provides an automated labeling to the surface of the human cerebral cortex. 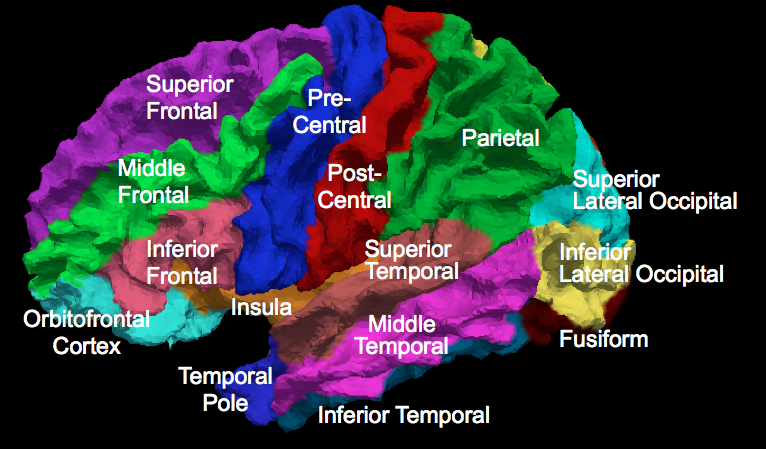 The cerebral cortex is a highly convolved thin layer neural tissue located at the outermost layer of the human brain. It can be divided into anatomically and functionally meaningful sub-regions. 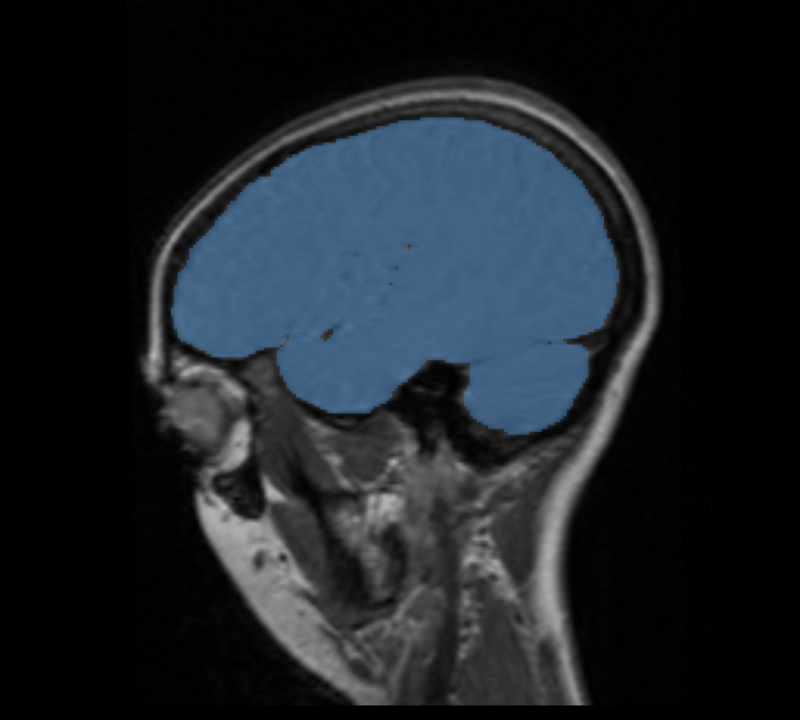 We developed a fast and automated parcellation pipeline, which takes T1 and T2 images of the subject and automatically parcellates the cortical surface of each hemisphere into 24 well defined regions. 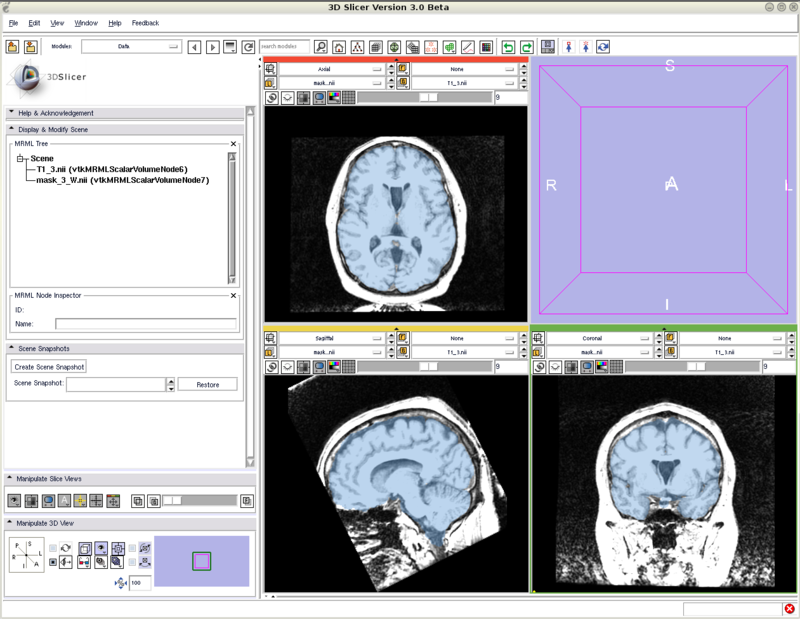 This tool can be potentially used in studying the brain morphology related with psychiatric and neurological disorders. It will help us understand the underlying pathology that can occur when the brain gets sick. Our parcellation pipeline has been tested to be comparable with manual parcellations. It is a flexible pipeline, which can incorporate various sets of labeling systems and is faster than FreeSurfer (it takes approximately ¼ of time to get similar results). 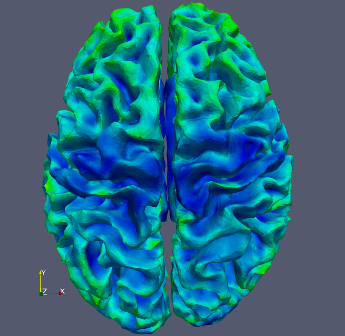 My primary role at MRRF is working on the creation of the BRAINS3 software package, a joint venture with software engineers in the Dept. of Psychiatry. 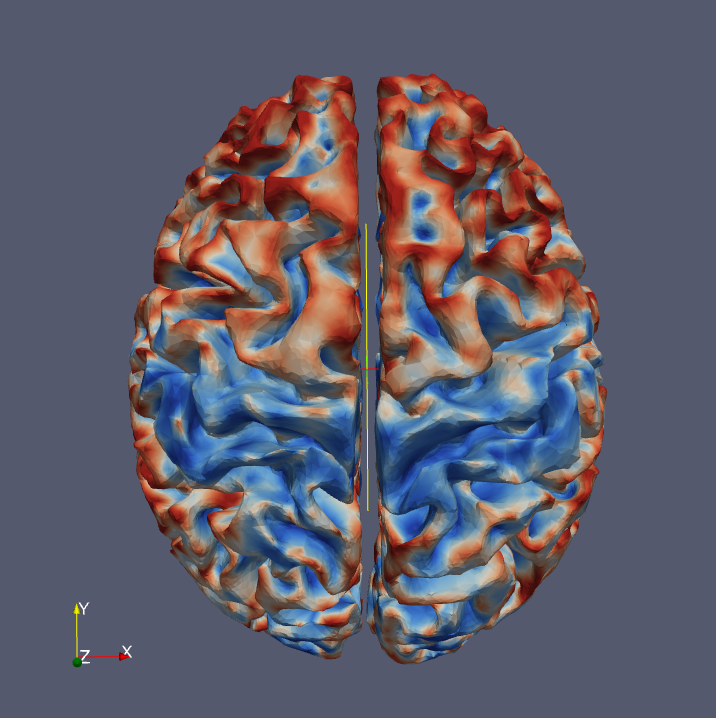 This is a suite of tools to facilitate systematic analysis of MRI datasets. 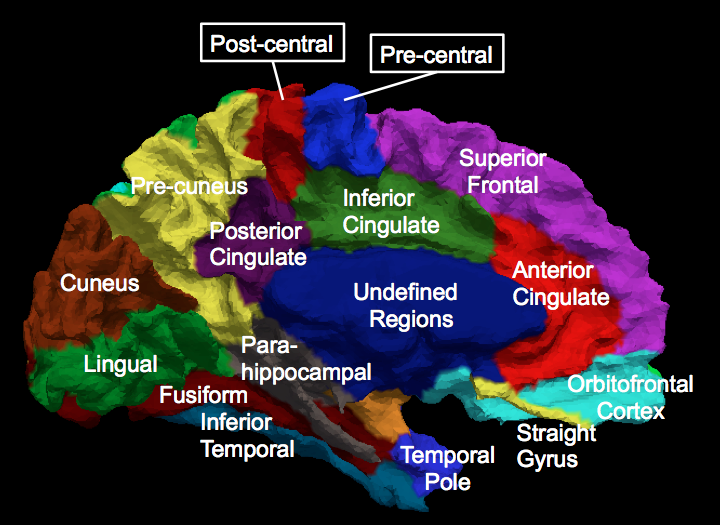 This analysis is performed both dynamically by neuroscientists as well as automatically by the system itself. My work focuses on the latter. 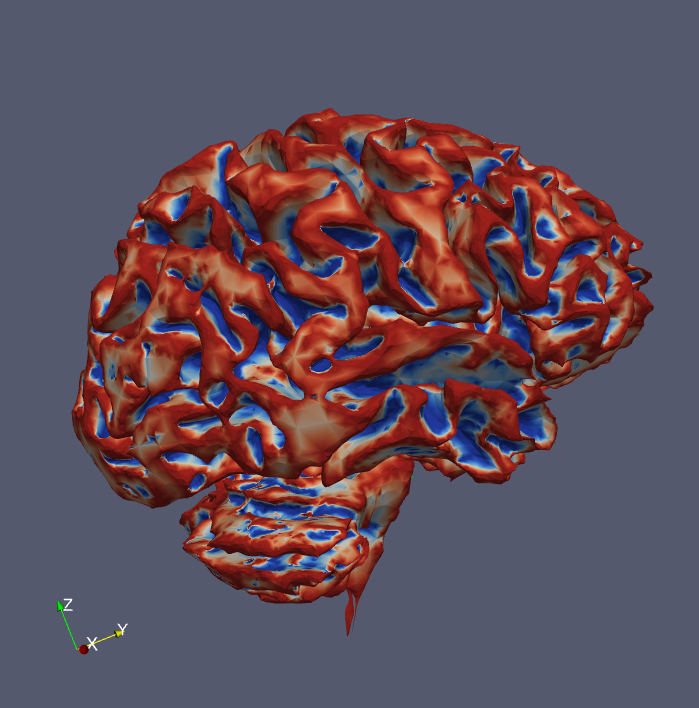 I have created several tools for use in this automated processing, including, but not limited to: dynamic generation of Talairach atlases, skull-stripping/brain-masking and surface generation. 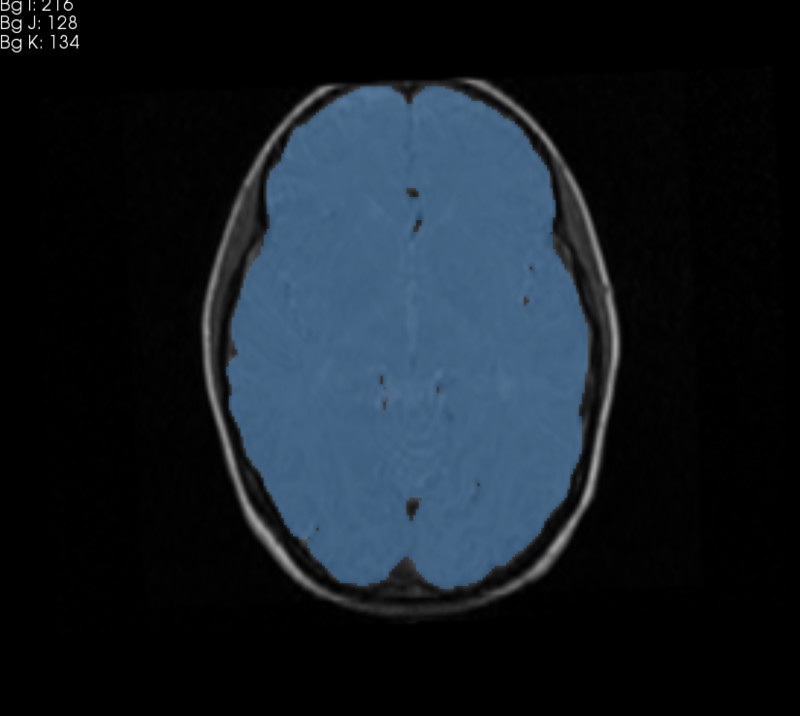 My current project is a tissue classifier that will allow a user to provide an list of associated pixel value ranges and tissue types, which will then be used to accurately label the entire brain. This can be fine-tuned on a variety of parameters (primarily statistical thresholds). In my spare time I like to volunteer at the hospital and the Knights of Columbus, study topics in computer science and engineering and avoid cleaning my apartment at all costs. Finite element analysis has allowed for investigations of the human musculoskeletal system and orthopaedic implant design. IA-FEMesh, an open-source hexahedral meshing software package, provides tools to develop volumetric meshes on a patient-specific basis. Part of the IA-FEMesh meshing protocol relies on manual placement of building blocks around a virtual model. As the complexity of the surface increases (e.g. phalanx versus cervical vertebrae), the number of required blocks increases and hence the time required to create the block structure increases. 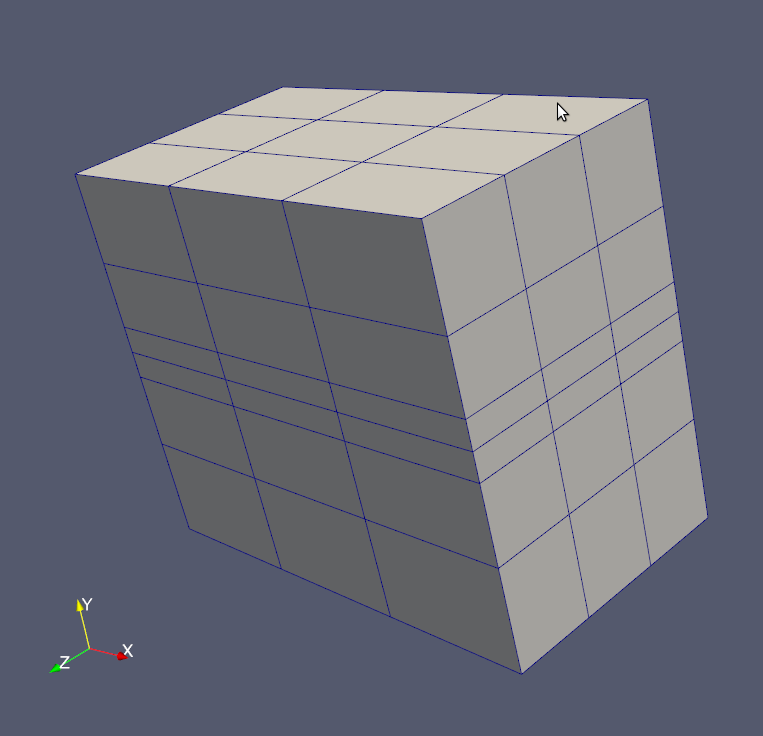 The Automated Building Block Algorithm incorporates principles from differential geometry, combinatorics, statistical analysis, and computer science to automatically generate a building block structure for a given surface without prior information. The finalized building block structure is imported into IA-FEMesh to generate a hexahedral mesh for finite element analysis. Two metrics were used to judge the quality of the resulting finite element mesh: minimum element Jacobian and minimum element volume. As a final check of mesh quality, simulated material properties, boundary conditions, and initial conditions were applied to the mesh, and the mesh was analyzed using the ABAQUS® finite element solver. The steps of the Automated Building Block Algorithm are illustrated above: (i) reorientation of the bone surface model, (ii) surface feature identification, (iii) point selection filter, (iv) medial axis analysis, (v) surface segmentation, (vi) raw building block definitions, (vii) combinatorial building block reorganization, (viii) building block manipulation, and (ix) finalized building block vertex projection. Develop a generalized tool for spatial normalization of tensors and other higher order diffusion models. Implement non-linear intersubject registration using a multichannel registration scheme. Validate the above methods primarily on tensors and then on higher order diffusion models. Medical imaging technologies have allowed for in vivo exploration and evaluation of the human musculoskeletal system. Three-dimensional bone models generated using image segmentation techniques provide a means to optimize individualized orthopaedic surgical procedures using engineering analyses. Traditionally, manual raters have performed the segmentation of bone from medical images. However these techniques are not clinically practical due to the extensive time and human intervention that is required. This study aims to develop an automated preprocessing and segmentation method to accurately, efficiently, and reliably separate bony regions of interest. Others in our laboratory are working towards producing automatic hexahedral meshes from the surface definitions appropriate for surface contact analysis using the finite element method. Our ultimate goal is to automate the preprocessing, segmentation, and mesh generation procedures to provide a clinically useful means of surgical analysis and planning. Figure (A): Surface models of the anterior aspects of twelve phalanx bones generated using the Expectation Maximization algorithm for image segmentation. Figure (B): Euclidean distance map comparison between physical bone surface scans and the Expectation Maximization algorithm based segmentations of the index finger.